Friends in a digital world…. My best friend and I would literally talk for 5 hours at a time when we moved away from each other. In fact, we still do! We’ve been friends since we were around 12 and sometimes I wonder if bonds like that are still possible. It seems that the older that you get and the more digital things become the weaker your bonds are to one another. Posting comments on photos and sharing inspirational quotes on Facebook seems to be the new friendship of our age. It’s totally acceptable to not even speak to your “friends” anymore. What with texting, facebook, twitter, youtube and even linkedin for professional friends, who needs talking? I can’t help but feel like these new digital tools that were made to make it easier to interact with one another have in fact made it that much harder to make meaningful relationships with each other. Have we all become so boring and socially awkward that we are incapable of having a phone conversation? Call me old school, but I think it’s imperative to have some kind of real life talking, seeing, feeling interaction with people. So much is taken out of context or miss-communicated in writing, and yet we all take it as gold. Have you ever noticed your “tone” in your head as you read something? It’s actually quite a fun little game to play with yourself. As you’re reading your friends status updates, tweets or whatever listen to your inner voice and notice what kind of tone you’re using. You might think that something was quite catty when the person meant for it to be humorous. Your inner tone can really dictate the direction that you take something in writing. I’ve noticed this in my book club recently that some of the girls interpreted things totally different than I would have. It’s their inner tone shaping the way things were said by the characters, either because of their own experiences or maybe just their mood when they read it. So, we basically form relationships with our own interpretations of someone else. We are not even giving them the chance to be authentic in an in person experience. On top of that, no one is really sharing anything real about their lives on social media. Your friend is not going to get on there and say “man I am so depressed, I cried all night and no one even knows what is going on”. Well, I guess they might, but you really wouldn’t get the full impact of what happened or how they were feeling. Your tone would take over and maybe you would think “what a baby, so annoying”. You wouldn’t hear the pain in their voice or see the desperation in their eyes. If you really stop to think about it, do you have any idea what is going on in your friends lives? 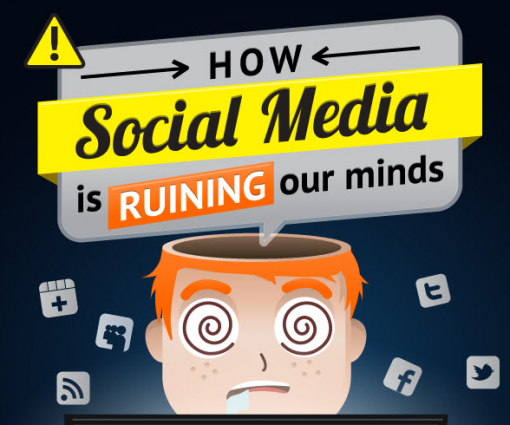 Are you just basing your information on social media and your internal interpretation? Perhaps this is the new age of friendship. Maybe I am asking too much from people to build bonds with each other like that of my best friend and I. Bonds that share deeply our feelings and experiences. Is it simply that she lived all of my life experiences with me since I was 12, or is it that we put a genuine effort into our friendship in a way that most refuse to these days? Either way, I can’t help but feel sorry for society in general as we continue to pave the path of obsolete genuine interactions with one another. In the age of not enough time, we substitute real time and effort in our friendships with the occasional facebook interaction. I hope that we have not become completely incapable of forming these bonds with one another. I hope that our judgments of people based on our own interpretations of them through social media have not become our truth. I will try to check my tone at the door when facebooking, but I think that it’s a natural and very real auto pilot. I will try to separate my feelings from others perspectives, actions and situations and treat them just as that, theirs, as they really have nothing to do with me personally and all to do with that specific person and their own experiences, which are not for me to judge. I will attempt to curb my own personal feelings towards someone else’ life. I will work towards forming friendships with people that are not limited to social media, texting and E-mail interactions and my interpretations of them based on that. People tend to “surprise the hell out of me” in the words of Vivian from Pretty Woman. If you take the time to truly get to know someone in all their faults and all their glory, I think they will surprise the hell out of you too.